Jane Tan - Informative Travel Blog: Haze, how are you? 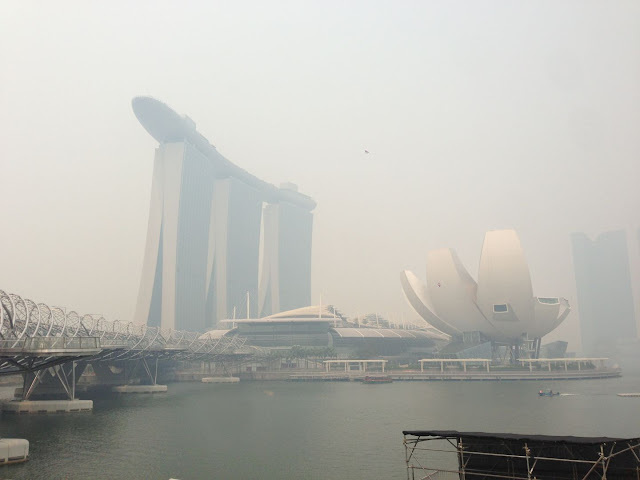 The yearly haze finally hit Singapore this week and today I was awakened by the haze. I literally choked awake like how the people in Vampire Diaries do when they are transforming to vampire. FML. 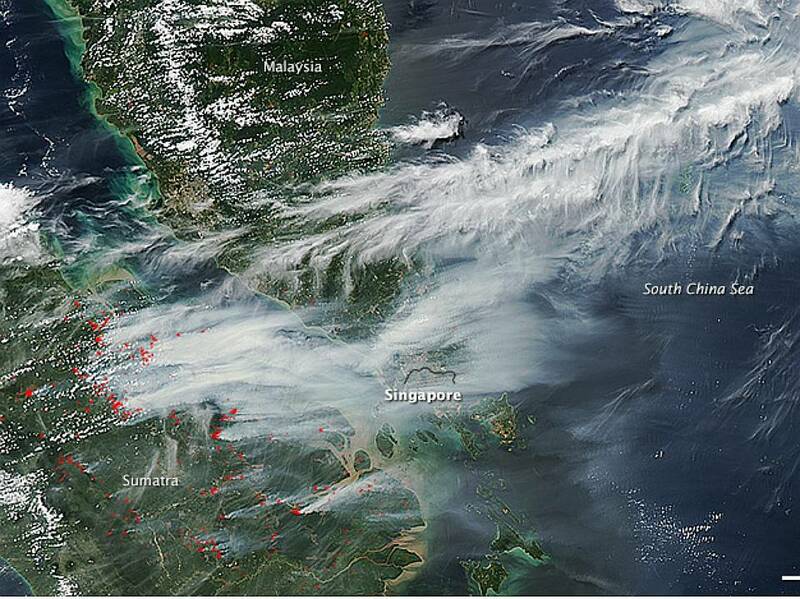 Spot Singapore. And this was on Wednesday when the PSI hit 290. Guess today's image would be glorifying. The PSI hit 401 today which indicates sudden death. I'm extremely appalled that some Indonesians,"You can't blame Indonesia, you should blame the consumer of palm oil, because that is the reason why companies are doing that." I hereby state again. This reasoning is warped. Having a demand is definitely no excuse for unethical practices. I don't see any Chinese/Taiwanese saying things like ,"you can't blame China/Taiwan, it's because consumer wants it." What I saw/read was them solving the problem immediately. Instead of ," You all are behaving like children"
More absurd things I read was ,"Did you all thank Indonesia when they shield Singapore from Tsunami?" I can't even. "Hey Indonesia, thank you for shielding us from Tsunami." Who will say such an insensitive remark? People are arguing that we shouldn't blame Indonesia because the shareholders of those palm oil companies are actually Singaporean companies. Proof? I would sure love to know. Singapore government requested for the names of the companies but so far we hear no news of them. Why aren't you releasing the names? And even if so, the burning is at Indonesia, only the government there can enforce the law. Do you mean that your government will allow if Singaporeans-owed Indonesia companies decide to conquer the land of Indonesia? In the meantime, let's mask up. PS: I know some Indonesians are feeling sorry about the situation, they might in fact be suffering and feeling angry as well. In this case, I'm not talking about them. However, if you feel offended by what I said, then you are probably one of those idiots.